The Kwantlen Student Association (KSA), in conjunction with Farm Fresh Events, introduces the newest of Richmond events. The Kwantlen St. 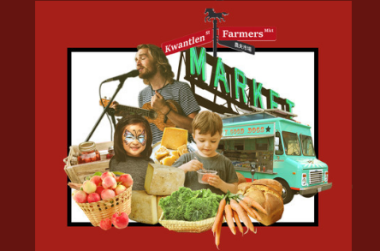 Farmers Market offers all the goodness of a farmers market, with live entertainment, kids workshops, artisan foods and crafts, food trucks and chef demos using the freshest local produce. 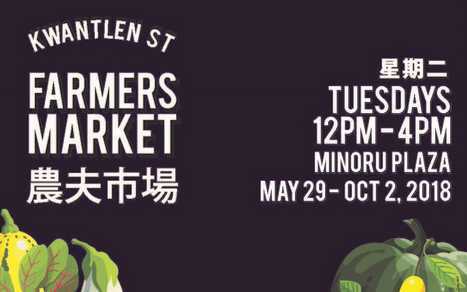 Come and sample bites from some top chefs, get cooking tips and recipes, all while supporting local agriculture and businesses. 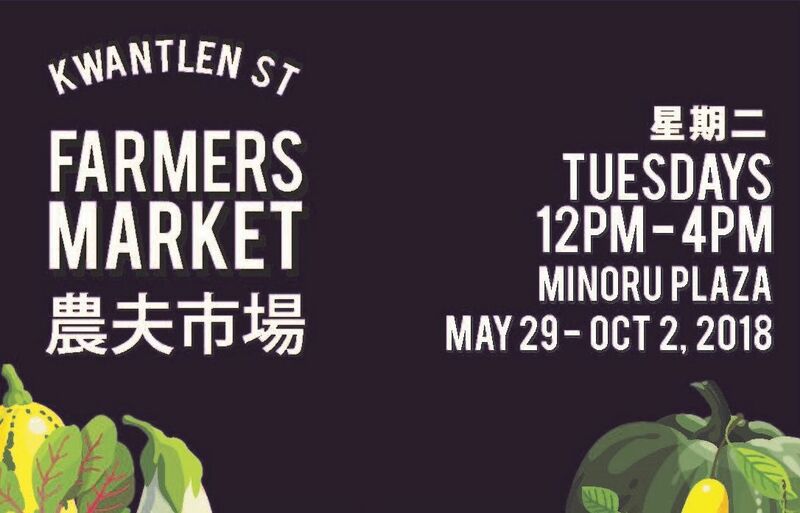 The market will highlight KPU’s Sustainable Agriculture and Farm School programs, education programs for new farmers to learn ecologically sensitive agriculture practices and how to build their own agricultural businesses. Free parking, and your friendly pet on a leash is welcome!